Like the Ice Cream Van not really a MOD since the 70811 vehicle is completely changed. I can't tell an exact scale here - there had to be a decision between 7w and 8w regarding step vans, maybe it's slightly too wide for a 1/40 scale vehicle, however the height looks okay - seems to be rather difficult to get the exact measurements of a more or less matching prototype. Main points here were the sbs seating of the figs (which isn't a problem on an 8w vehicle, of course) plus the set down, "pimped" look which required an upside down solution on the wheel wells - the wheels not spinning very well to be honest, but at least sitting nicely where they belong. Both requirements prevented a more elaborate door solution which otherwise would be something to be featured on a step van. Awesome vehicles ER0L! 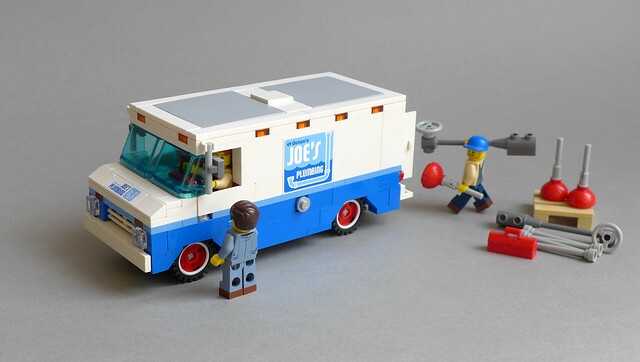 My favourite is the Plumber’s van. The 8w version is more to scale, however I'll leave the Ice Cream Van as it is, I guess. Now there's still the Trash Chomper set 70805 though I don't have a proper design idea for that one yet - should be something from the seventies or eighties to match the other vehicles. 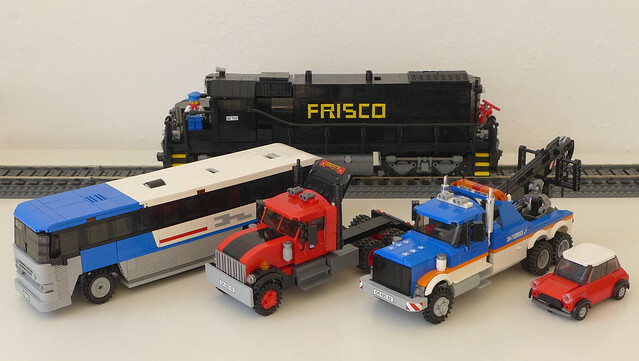 Regarding Lego Movie 2 vehicles the sets as such are quite nice, however I haven't found something yet for this kind of approach. As a City vehicle, the Pizza Van 60150 is still awaiting a conversion (which has been done by others in the meantime, too). 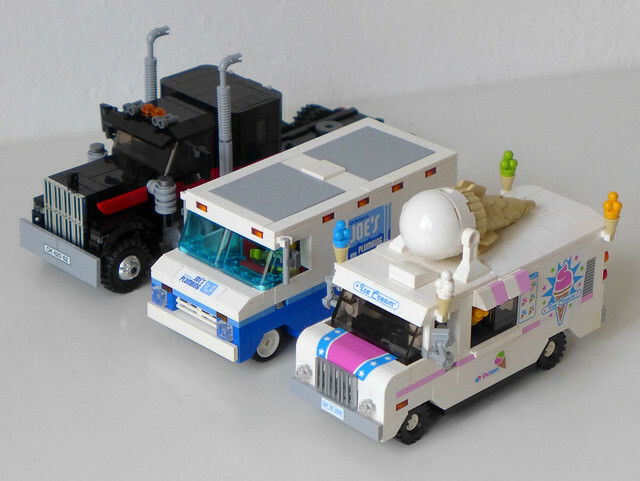 I think the Ice Cream truck works very well as a 7w, especially with that 3 wide grille and the 1x2 brick with hole as the headlamp housing. Nice to hear from you bootz, thanks for your estimation, glad you like it!